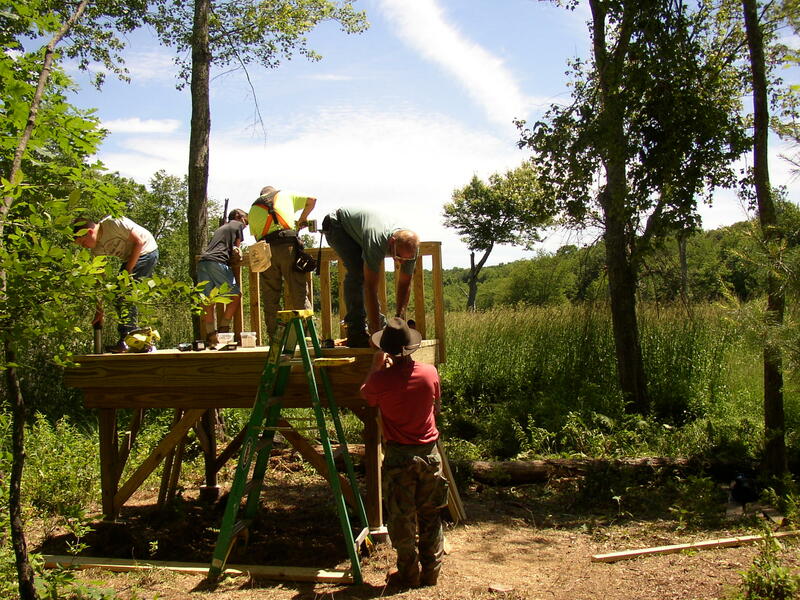 The land trust is thrilled with the completion of an elevated observation deck at Bull Pond. We are even more appreciative of the project’s leadership provided by Eagle Scout candidate, Joseph Sefcik, and his crew of skilled advisors and hard working kids. Joey’s Eagle Scout project was intricate and very challenging, but was pulled off without a hitch. In addition to all the planning, purchasing of materials and pre-cutting of lumber, it took three work days with Joey and his crew of a dozen helpers to complete the project. The first step in constructing the deck was to make sure it would be on solid footing. 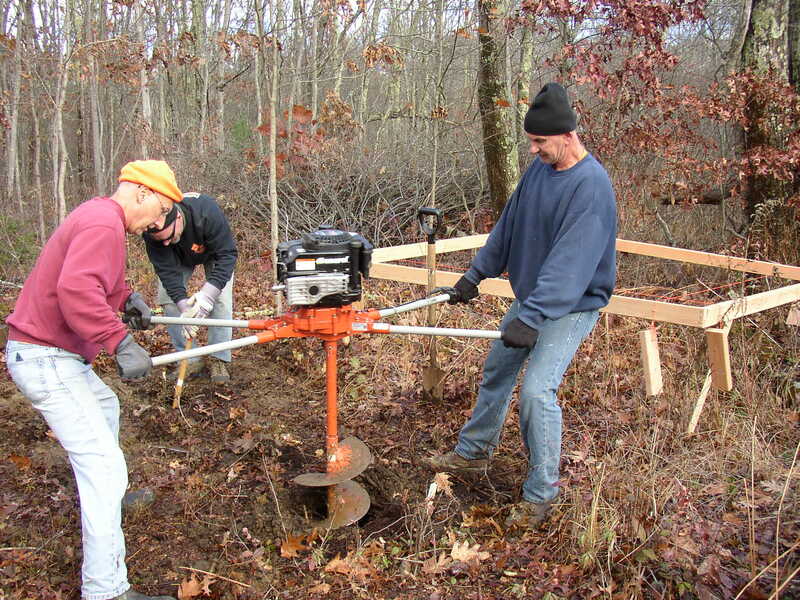 A power auger was used to dig down 2 ft. at six points for concrete piers (November, 2017). The next step was to construct the decking and railings (June 18, 2018). 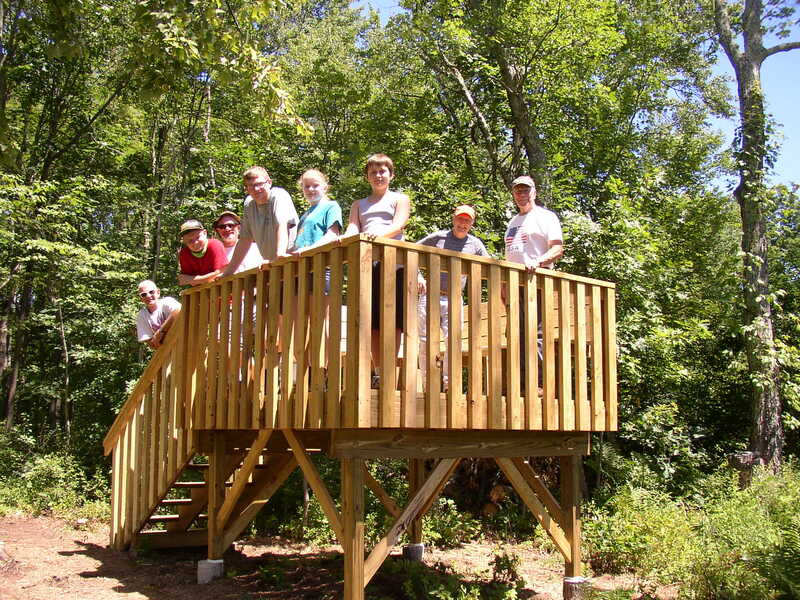 The deck was completed with a stairway and benches with the help of many hands (July 21, 2018). 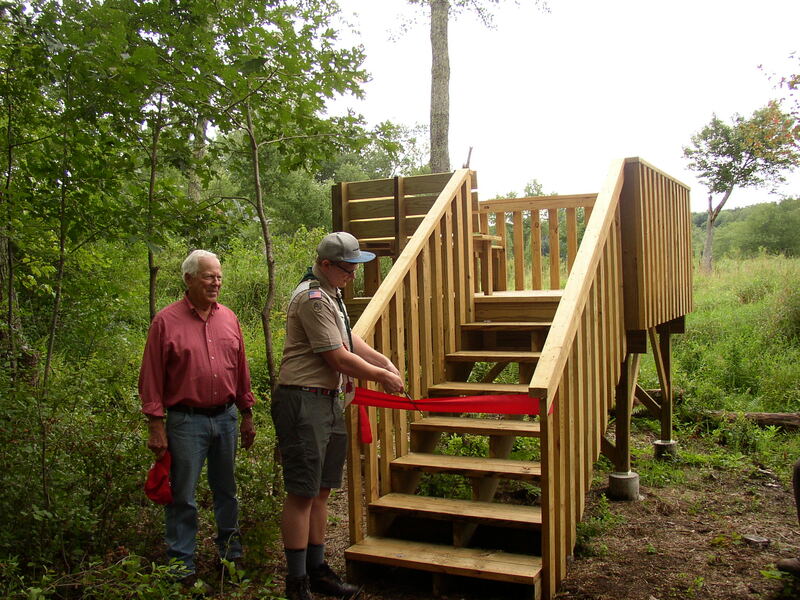 Eagle Scout, Joey Sefcik, standing on his completed deck. 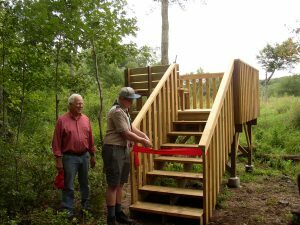 The Scouts held the official opening ceremony for the deck on August 19, 2018. Joey cutting the ribbon at the opening ceremony for the deck, along with land trust director, Larry Connors, who provided assistance with his project. Several of the first visitors to enjoy the views from the deck during the opening day ceremony. The deck is a great addition to our Bull Pond Preserve. 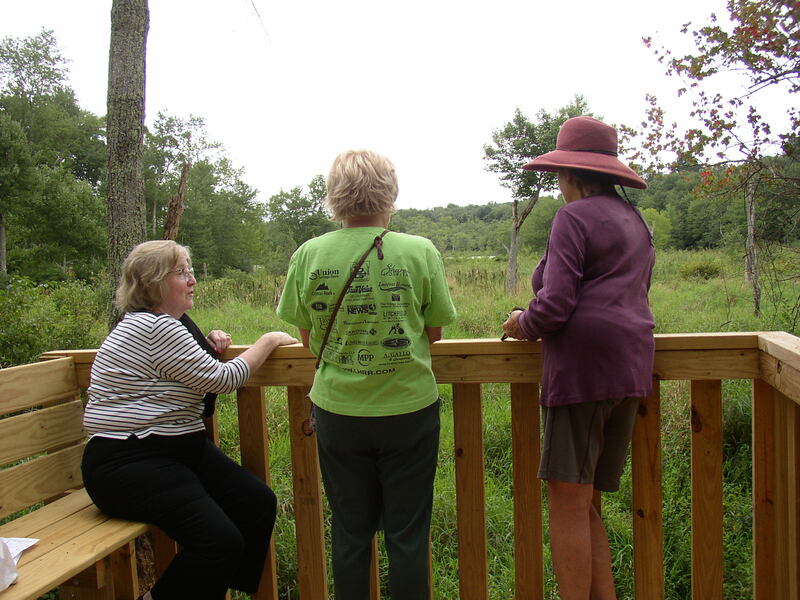 It provides sweeping views of the remote upper area of Bull Pond, and should be an excellent place for bird watching. Thank you Joey and congratulations on completing your Eagle Scout project. 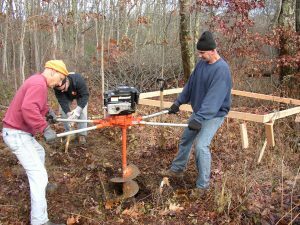 Copyright © 2017 Harwinton Land Conservation Trust, Inc., a 501(c) (3) charitable organization. All Rights Reserved.